Happy Thanksgiving from everyone here at Coast Diamond to you and your loved ones! In an era when many stores opt to carry only mass-produced products manufactured overseas, it’s refreshing to find a family-run business that supports brands made in the USA. Ganem Jewelers, with two stores in Phoenix, Arizona, began offering American-made watch brand Shinola of Detroit earlier this year. 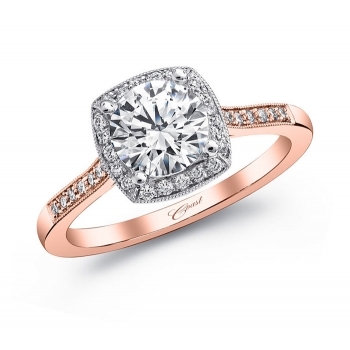 Ganem Jewelers, this week’s Featured Retailer, also offers clients gorgeous diamond and rare gemstone engagement rings and wedding bands designed in Los Angeles, California by Coast Diamond. 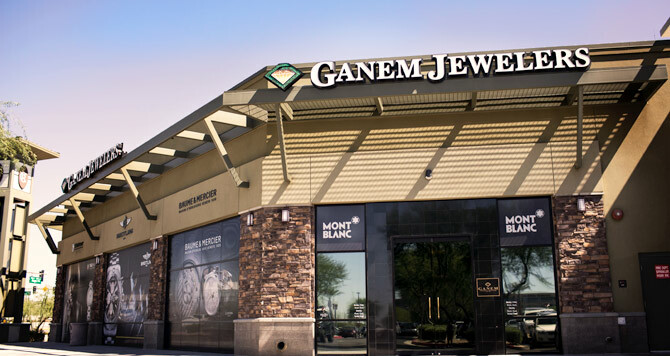 Couples in Phoenix, Scottsdale and other East Valley areas of Arizona have visited Ganem Jewelers since 1982. Founded by George Ganem and run today by his sons Jason and Curtis, two elegant stores provide clients with legendary customer service, engagement and wedding rings, high-quality jewelry and exquisite watches as well as a full-service repair and design shop. 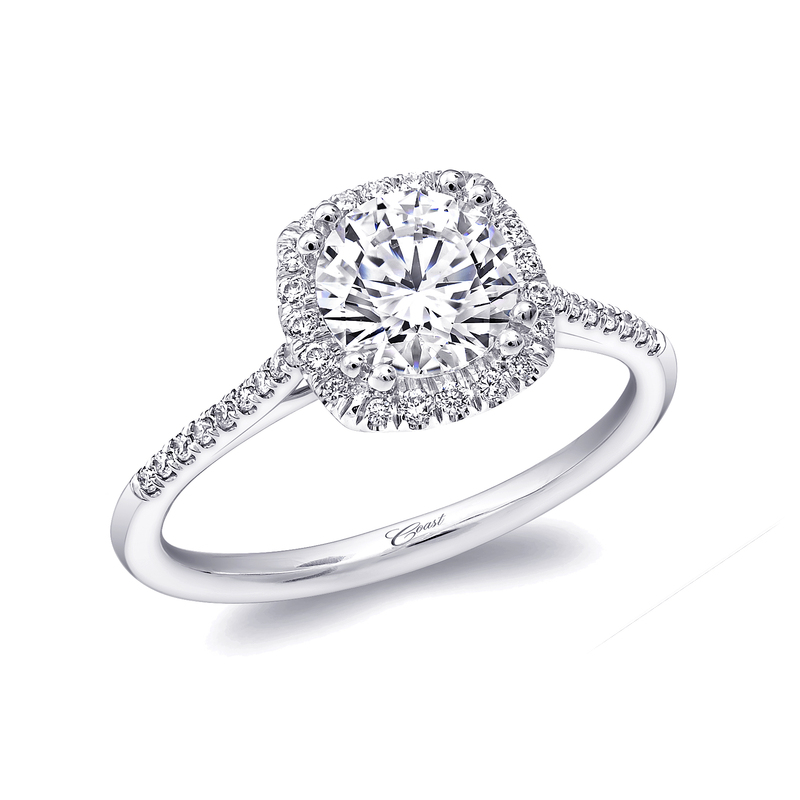 Coast Diamond is proud to offer our elite diamond engagement rings, wedding bands and fine color gemstone rings and jewelry at Ganem Jewelers in Scottsdale at The Shops at Chauncey Ranch, and at their location on Ray Road in Ahwatukee. 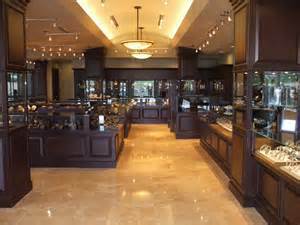 Congratulations to Ganem Jewelers on being selected as Coast Diamond’s Featured Retailer! This spectacular engagement ring, the first in a series of “Five Festive Rings” featured on the Coast Diamond Facebook page, features a brilliant round diamond. Delicate prong-set side diamonds in romantic symbols of infinite love lead up to the center diamond. Imagine this gift under the tree on December 25th? Wow! 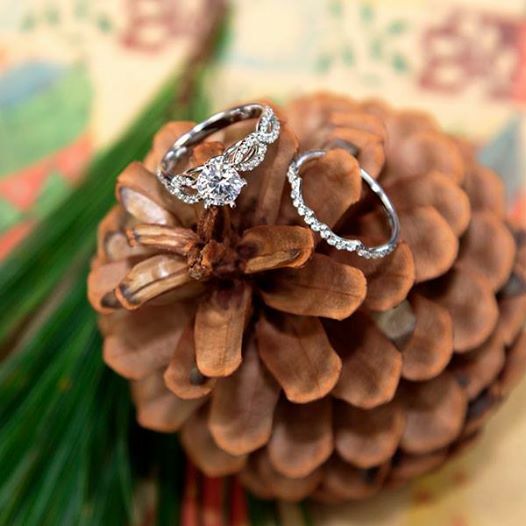 Ready to get engaged this holiday season? 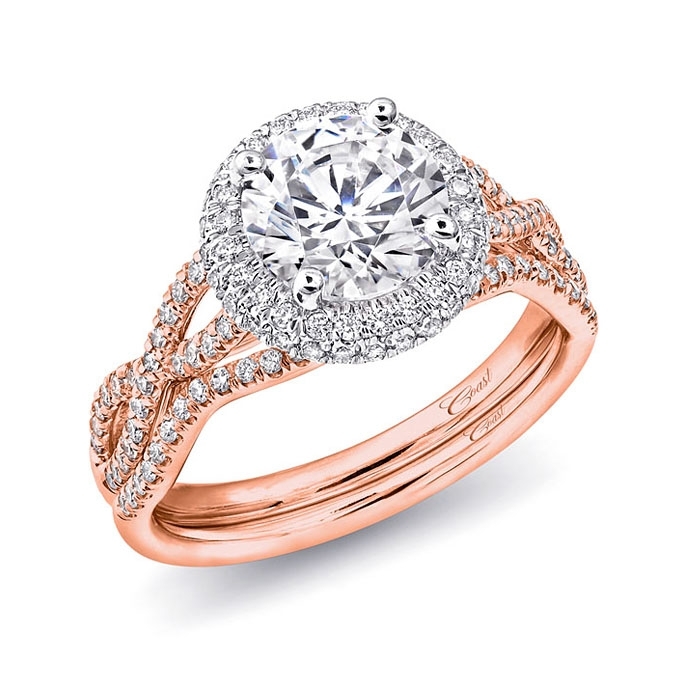 Find these featured engagement rings and diamond bands, available in platinum or white, rose or yellow gold, at your local Coast Diamond authorized dealer. When you exchange vows, promise to love and cherish forever with this unique eternity band. Exquisite milgrain edging beautifully shows off the rubies and diamonds in each marquise shape. Available in white gold, or by special order in your preferred metal choice. Say “I do” with this ruby and diamond eternity wedding ring. 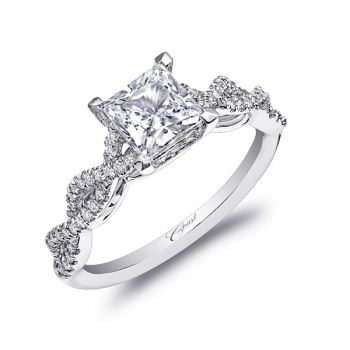 You’ll find this ring and other stunning styles at your local Coast Diamond authorized dealer. Don and Dorothy Vodicka at The Gem Collection in Tallahassee, Florida are passionate about their community, their customers, and yes, beautiful jewelry. This humble couple started their business over 35 years ago and every year earn the honor of “Best Jewelry Store in Tallahassee” by Tallahassee Magazine, and in March 2015 won the coveted “Tally Award.” Their dedication to offering high quality designer merchandise and a focus on excellence in ethics and customer service are just a few reasons why The Gem Collection is our Coast Diamond Featured Retailer of the Week. A favorite ring that is trending with brides-to-be as well as with couples celebrating milestone wedding anniversaries is this exquisite diamond eternity band. The .75 total carat weight of gorgeous diamonds set in platinum or gold makes this a cherished ring you’ll never want to take off! Coast Diamond rings are available in platinum, white gold, yellow gold and rose gold and may be special ordered to accommodate center diamonds from 1/2 carat up to 5 carats or larger. 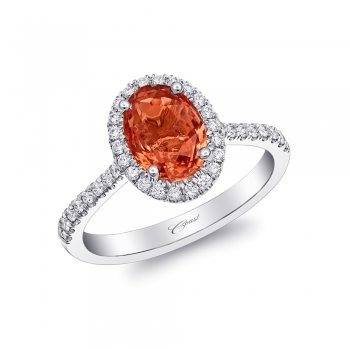 Los Angeles jewelry designer Coast Diamond is also known for their award-winning Signature Color Collection of rare color gemstone rings, earrings and pendants. 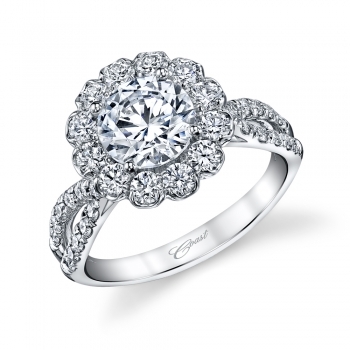 Find these and other spectacular Coast Diamond engagement rings and wedding bands at The Gem Collection. Call (877) 727-3595 or (850) 893-4171 for store hours and location, and be sure to follow The Gem Collection on Facebook. Congratulations to The Gem Collection, our Coast Diamond Featured Retailer!